Motivating your employees requires more than just a bigger paycheck and a hearty pat on the back. Employee motivation strategies have to be designed to meet the specific needs of each worker. Below are seven ways that a manager can get the most out of employees. It’s not always easy to get a clear, definitive answer when you’re asking employees about their goals. For example, an employee might express a desire to work on a particular project, only to find once they are a part of the project that it just isn’t what they were expecting. Instead of asking broad questions, try to be more specific. For instance, ask an employee to talk about a prior project that he or she felt went well and that they enjoyed. Then try to determine what features of that job they particularly liked and how that might be applied in the future to other work. While it’s important not to overgeneralize, most workers approaching the end of their working career are usually focused less on the possibility of promotion than are younger workers. New workers are just beginning to climb the career ladder, and thus are still planning ahead for their future at the company. These new workers may also have less patience than older, more experienced workers. What will motivate employees will vary depending on where they are in the company. For instance, engineers tend to be greatly motivated when working on cutting-edge technology. By contrast, sales staff often view money – and how much you pay them – as a measurement of how effective they’ve been. Focus on the personality of each employee. While some people are more than happy to receive public praise, others are actually uncomfortable with this and would rather get a face-to-face, private thank you. This should be taken into account before setting up any ceremony to hand out awards, bonuses or other public forms of recognition. Design a workflow and a schedule that will make it possible for your employees to telecommute at least some of the time and to establish office hours that better work with their personal needs. This has the benefit of making it clear that you trust your employees, and it allows them to more easily balance their work/life needs. At the same time, keep in mind that there is no cookie-cutter approach to employee motivation. Moreover, there are certain jobs that just can’t be done away from the office. Also, many of your workers might actually like getting away from home and all of its distractions so they can focus on their work. In fact, if they don’t have a difficult commute, many people would rather just go to the office. At the same time you’re asking your employees about the type of work they enjoy now, it can be helpful to find out what they’re hoping for in the future. Employers should give their workers opportunities to expand on their present skill set and create the experience and connections necessary in their future career. It’s vital for your employees to keep learning while on the job. In-house seminars and classes are a great way to motivate them to do this. Some companies have programs that reimburse employees for tuition at colleges. You can also find out what your employees want or need to learn and assign them to a project that will help them acquire such skills. Motivating employees is largely about getting to know them, their goals and their needs and creating incentives to satisfy them. Keep in mind that employees often feel better about their work if they feel their manager is actually interested in them and their goals. 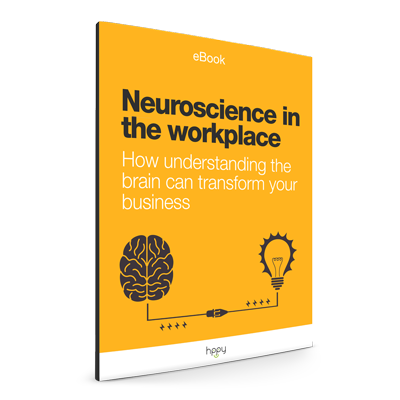 Download the eBook and learn how to use neuroscience to attract the right talent, retain high-performing employees and foster collaborative teams. Carol Evenson is a business consultant specializing in process automation and employee wellness. She has worked with Fortune 1000 companies and currently assists organizations within the US and UK. Follow her on Twitter.